Photo by Joseph Robertia, Redoubt Reporter. Kathy Musick shows off her team colors at Jersey Subs in Soldotna. 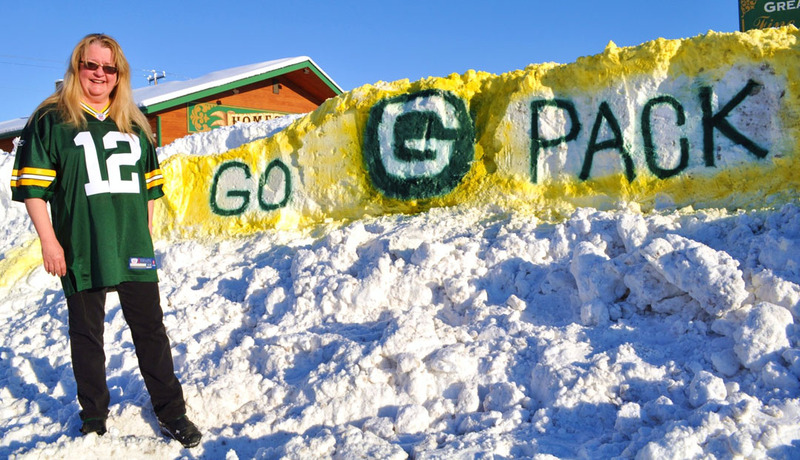 As two football titans — the Green Bay Packers and the Pittsburgh Steelers — took to the field Super Bowl Sunday, fans near and far cheered for them, including many on the Kenai Peninsula. As Musick grew older, her interest in the Packers waxed rather than waned. She had hoped to one day attend a Packers home game with her father, but this was a difficult task to arrange due to the Packers’ popularity. Out of line? What’s fair in state help for natural gas service expansion? At a basic level, the point of government is to do things for the benefit of its constituents, through pooled resources, administration and oversight, that they would find challenging to do on their own. That can mean hospitals, public safety, schools, transportation and the like. But government can’t be everything to everyone — providing for every need, managing every process and subsidizing every cost that comes up. Especially in times of recession, and/or when political winds blow toward cuts in budgets and reductions in government’s reach. The question then becomes, where to draw the line between what government does for its constituents, and what constituents do for themselves? On the Kenai Peninsula, those lines can concern extensions of natural gas service. Enstar, a subsidiary of Semco corporation, manages utility natural gas service on the Kenai Peninsula, moving gas through some pipelines it owns, and arranging for use of other pipelines owned by oil and gas producers. Enstar makes money by charging a fee for transporting natural gas, while the price of gas — which Enstar doesn’t have control over — is passed on to customers. Photo by Joseph Robertia, Redoubt Reporter. A two-story home off Cohoe Loop Road was damaged by fire Saturday. 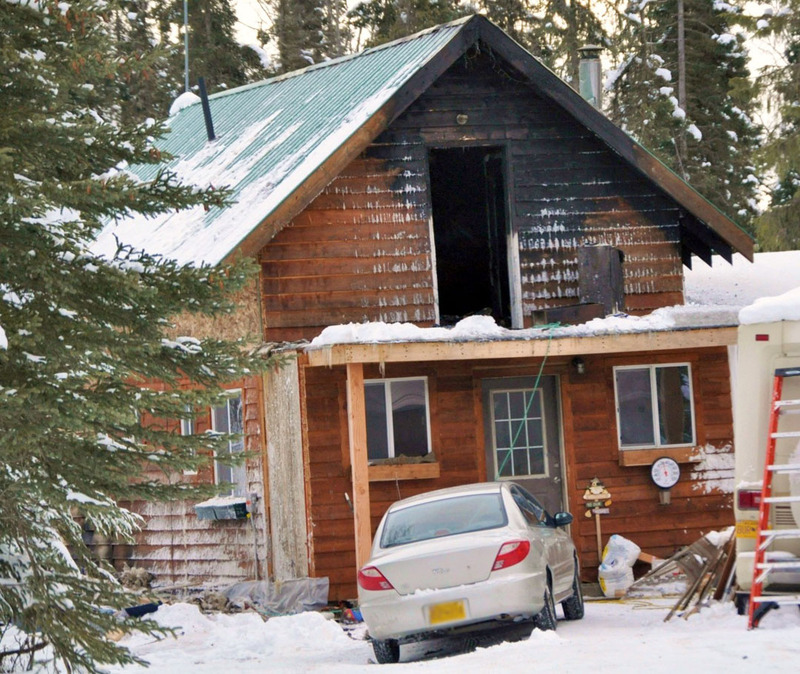 Residents of the tight-knit community off of Cohoe Loop, south of Kasilof, realized a thick plume of black smoke coming from a home Saturday was far more than any wood stove could be putting out. Team Swine Flew take to Tsalteshi Trails, behind Skyview High School, during the annual She Can Ski event Sunday. The little piggies involved in Team Swine Flew are, Kristine Moerlein, No. 13; Colleen Sinnott, No. 15; Jane Handy, No. 16; Carol Marsh, No. 7; Marina Bosick, No. 8; Katie Blossom, No. 14; JoEllen Fowler, No. 17; Amanda Painter, No. 18; and Shonia Werner. Annalise Theisen swoops around a loop in her bat costume. Charlotte Harvey revealed her alter-ego, Nacho Libre, just before the freestyle race on Sunday. Tony Oliver indulges his inner princess. Getting in touch with their feminine sides just prior to the “Drag Race” at She Can Ski are, from left, Soldotna High School head ski coach Dan Harbison, SoHi varsity skier Intimayo Harbison, and SoHi assistant coach Mike Penland. Carmen Stephl, a local dental hygienist, advertises her professional mantra on the back of a giant-molar costume. Carly Reimer and Maranda Merkes are in sync on the second lap of the freestyle race. Sarah “The Cowardly Lion” Bressler receives her whiskers from Kenai Central High School teammate, Carolyn Knackstedt. Off to see the Wizard during the classic race are KCHS teammates — with support from Carey Updike in a red team jacket — from left, Carolyn “Tin Woodsman” Knackstedt, Sarah “Cowardly Lion” Bressler, Chelsea “Scarecrow” Springer, Olivia “Dorothy” Fair, and Michelle “Toto” Klaben. Gigi Banas juggles her coconuts as she skis. Connie Ferguson, in her tropical regalia, skates along a ridge line. Skiers get groovy during the classic race. Soldotna Middle School ski coach, John Harro, donned the school mascot costume and his skate skis to motivate his girls team. Several members of the Soldotna Middle School girls team pose prior to the freesyle race. From left to right they are: Annalise Sayman (87), Emily Werner (39), Sadie Fox (58), Hannah Pothast (48), Moira Pyhala (62), Ali Dusek (95), Megan English (89) and Haley Ames (61). Kaitlyn “Princess Elbow-Elbow-Wrist-Wrist” Louthan steps out of her skis after completing the classic ski race. There’s no china shop in sight, but Sue Seggerman is all bull. A little too late, Haley Ames (61) tries to duck in between her SMS teammates, Moira Pyhala (62) and Annalise Sayman (87), in order to avoid having her photograph taken. 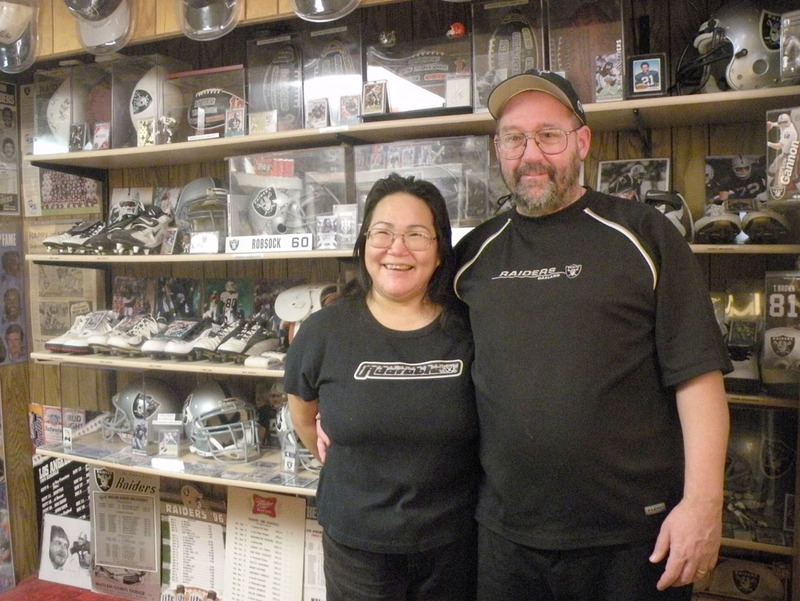 Two relative newcomers to the local crime-fighting scene needed less than an hour to nab a pair of burglars who hit one Kenai and three Soldotna businesses in one night and hardly came away with a big haul. It was early Sunday, Jan. 7, 1962, and Jerry Hobart — recently hired as a night officer to assist Kenai Police Chief “Red” Peavley throughout the Christmas and New Year’s seasons — was on late-night patrol, making the rounds of local business establishments, checking to make sure they were secure. When he reached George’s Coffee Shop, he encountered a problem. At 2:29 a.m., he discovered that the front door of the café had been pried open since his previous check on the eatery at 2 a.m. He entered the building and found that the door connecting the coffee shop to Kenai Pharmacy had been kicked open. Hobart hurried quietly to his vehicle and radioed his findings to State Trooper Wayne Hagerty, who had been assigned to the peninsula only a month earlier and had been stationed in Soldotna because Trooper Wayne Morgan was already stationed in Kenai. Hobart issued Hagerty a description of a Volkswagen sedan parked nearby. I never went to finishing school, the place where I would have learned such important things as balancing a book on my head in 3-inch heels, or how to be anything but a bull in a China shop. I’d like to think that my life is normal enough that I can tell a dessert fork from a salad fork, even though common sense tells me that either fork will get the job done. Maybe the finishing school, where I would have learned the upper-class values associated with napkin folding and meeting foreign dignitaries, is a thing of the past. As much as I missed this opportunity, it wasn’t the only opportunity I missed.